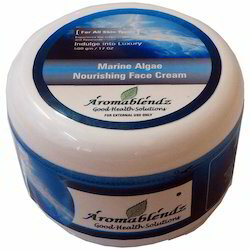 Offering you a complete choice of products which include aromablendz orange and aloevera face cream, aromablendz skin creams, aromablendz lavender almond face creams, aromablendz rose face cream, aromablendz marine algae face cream and aromablendz vanilla face cream. Use & Benefits: This ultra-moisturising face cream is formulated with almond and organic jojoba oils that penetrate easily into the skin. The combination of Orange with chamomile water, calendula and regenerating rosehip oil ensures that this cream will soothe the skin, leaving it soft and smooth. Made entirely from natural ingredients, with no lanolin or added perfume, it is suitable for the most sensitive of skins. Use & Benefits: This ultra-moisturising face cream is formulated with almond and organic jojoba oils that penetrate easily into the skin. 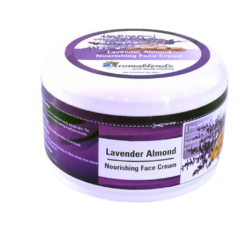 The combination of essential lavender oil with chamomile water, calendula and regenerating rosehip oil ensures that this cream will soothe the skin, leaving it soft and smooth. Made entirely from natural ingredients, with no lanolin or added perfume, it is suitable for the most sensitive of skins. Use & Benefits: This ultra-moisturising face cream is formulated with almond and organic jojoba oils that penetrate easily into the skin. 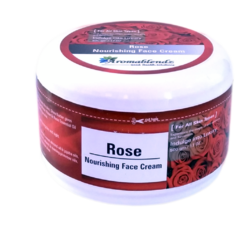 The combination of essential Rose oil with chamomile water, calendula and regenerating rosehip oil ensures that this cream will soothe the skin, leaving it soft and smooth. Made entirely from natural ingredients, with no lanolin or added perfume, it is suitable for the most sensitive of skins. Use & Benefits: This ultra-moisturising face cream is formulated with almond and organic jojoba oils that penetrate easily into the skin. The combination of Marine Algae with chamomile water, calendula and regenerating rosehip oil ensures that this cream will soothe the skin, leaving it soft and smooth. Made entirely from natural ingredients, with no lanolin or added perfume, it is suitable for the most sensitive of skins. Use & Benefits: This ultra-moisturising face cream is formulated with almond and organic jojoba oils that penetrate easily into the skin. The combination of Vanilla with chamomile water, calendula and regenerating rosehip oil ensures that this cream will soothe the skin, leaving it soft and smooth. 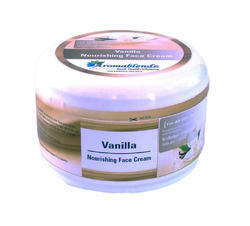 Made entirely from natural ingredients, with no lanolin or added perfume, it is suitable for the most sensitive of skins. 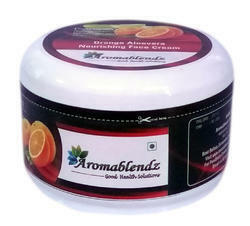 Looking for Aromablendz Face Creams ?